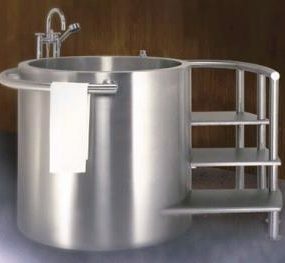 This is the specialty Regal bath from Diamond Spas. 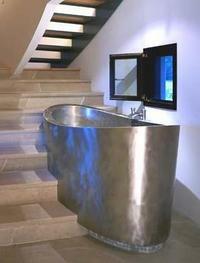 The Regal bath and all other products available from Diamond Spas are custom made copper or stainless fixtures. 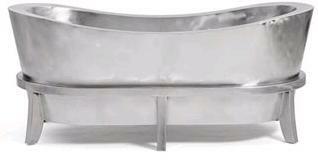 This tub is insulated double walled, 36″x72″x25″ and can be found in the bargain gallery for $8500. 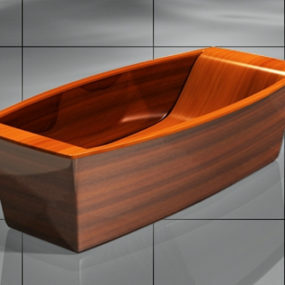 Their products don’t stop with the amazing selection of tubs. 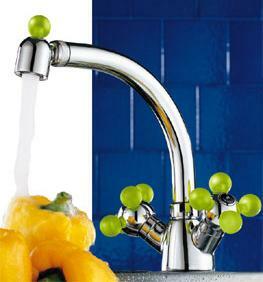 They offer kitchen sinks, vessels and spas. 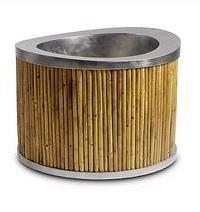 Some of the products from Diamond Spas just have to be seen. 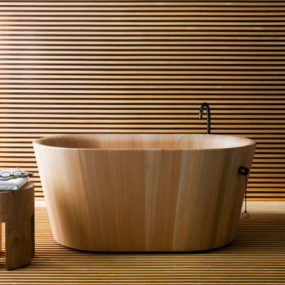 Their gallery includes square, elliptical, round, rectangular and bamboo clad tubs. 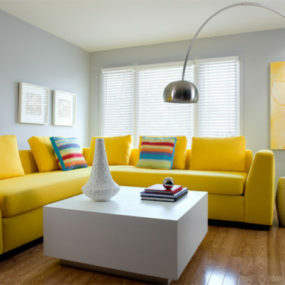 You will surely find inspiration for your space. 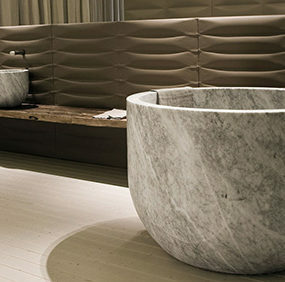 Diamond Spas should be your first stop in finding the bath to take center stage in your bathroom.